Sanchez could be in line to return against his former club. Since Solskjaer took the top job at Old Trafford on a permanent basis, United have only won two of their four games, with Saturday’s victory over West Ham requiring two spot-kicks from Paul Pogba to seal the three points in a laboured performance. Manchester United squad: David de Gea, Sergio Romero, Lee Grant; Diogo Dalot, Matteo Darmian, Ashley Young, Phil Jones, Victor Lindelof, Marcos Rojo, Chris Smalling, Luke Shaw; Fred, Nemanja Matic, Scott McTominay, Andreas Pereira, Paul Pogba, Jesse Lingard, Juan Mata; Anthony Martial, Alexis Sanchez, Romelu Lukaku, Marcus Rashford. 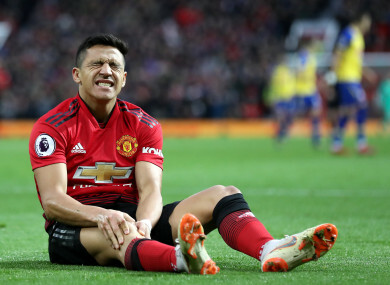 Email “Fit-again Sanchez back for Man United's trip to Barcelona ”. Feedback on “Fit-again Sanchez back for Man United's trip to Barcelona ”.